Is Shyne finally on course to get his long-awaited... shine? The tight-lipped rapper whose release from prison in 2009 was immediately met by more legal trouble—deportation to his native Belize—was recently scooped up by Def Jam Records. LA Reid, the current top dog at the label, took the time and personally flew down to the Central American nation on a private jet no less (who said the recording industry was struggling?) to ink the deal. 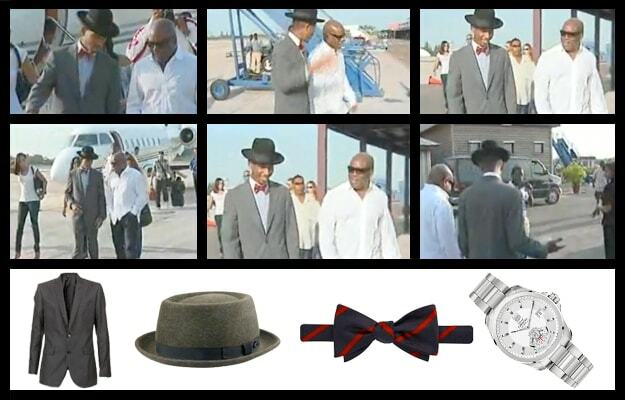 And while other media outlets were interested in Reid&apos;s logic behind the multi-million dollar gamble (let&apos;s be real now) and the fiscal details of the contract, the Complex Style Squad had but one question: What in the crap was Jamal wearing? • CLICK HERE FOR MORE CELEBRITY STYLE GUIDES!